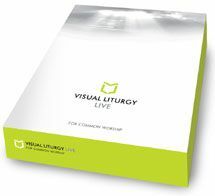 Visual Liturgy Live is a unique and powerful service planning software package that provides everything you need to create inspiring, refreshing and well-planned worship in the Church of England. The complete Common Worship library and other essential resources to enable you to plan worship that is flexible and creative. Intuitive tools to empower you to produce services quickly and easily. Intelligent and streamlined software that gives you the freedom to focus on what really matters. The Visual Liturgy Live online demo is an ideal first introduction to service planning, enabling you to create a basic service complete with readings in three steps. We hope this will give you a flavour of how the full version of Visual Liturgy Live (which offers a much richer array of content and features) can assist you and your church. Visual Liturgy is published by Church House Publishing.